and their brother Lewis is a near neighbour as he is now living at Puckpool. 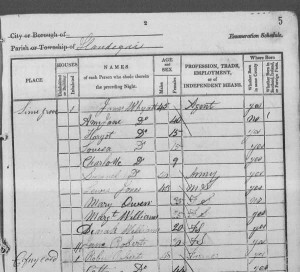 Using the census returns of subsequent years I tracked Samuel, Henry, Lewis and James (along with many other Wyatt family members). 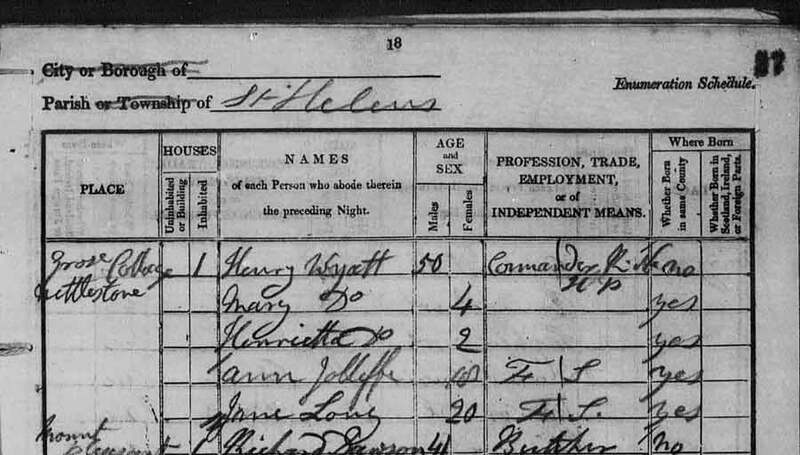 Sadly in the 1871 census Samuel Wyatt, Captain Royal Artillery (retired) is living in Paddington, London being looked after by a nurse (Susan Davey from Ireland) and is described as an ‘Imbecile’. 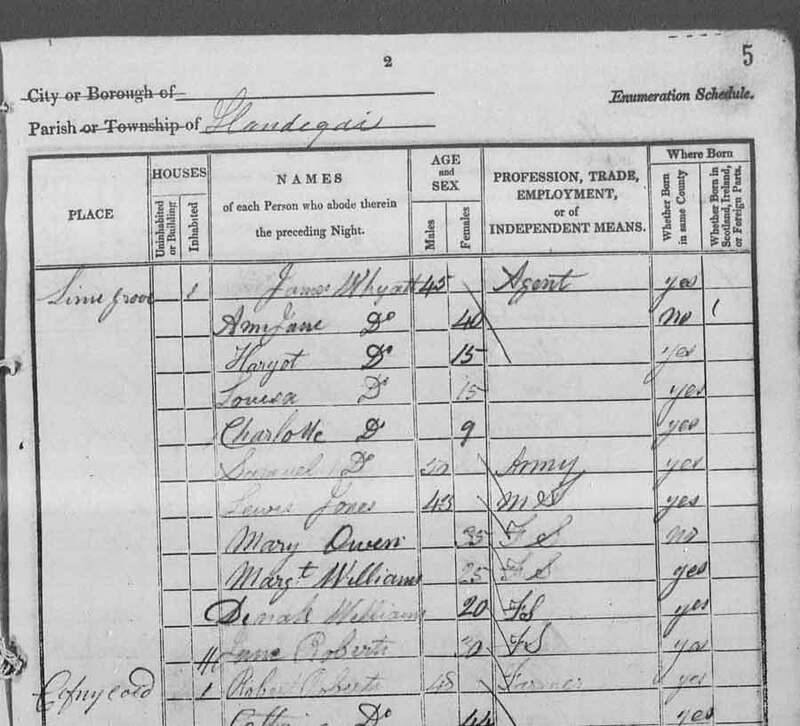 Within eight weeks of the census on 6 June 1871 Samuel died. 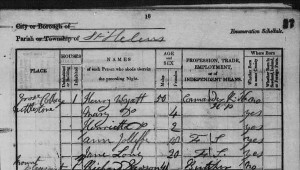 Census returns give clues as to the occupation of many of the Wyatt family. Notably in 1851 Lewis Wyatt, still living at Puckpool House on the Isle of Wight, is described as a Retired Architect. This is a clue that he is a member of the dynasty of Wyatt architects, painters, sculptors and carvers. From the middle of the 18th to the end of the 19th century, this family produced generations whose artistic and creative skills were unrivalled in that period. In addition many Wyatt’s were Land Agents, Surveyors and Clerk of Works. 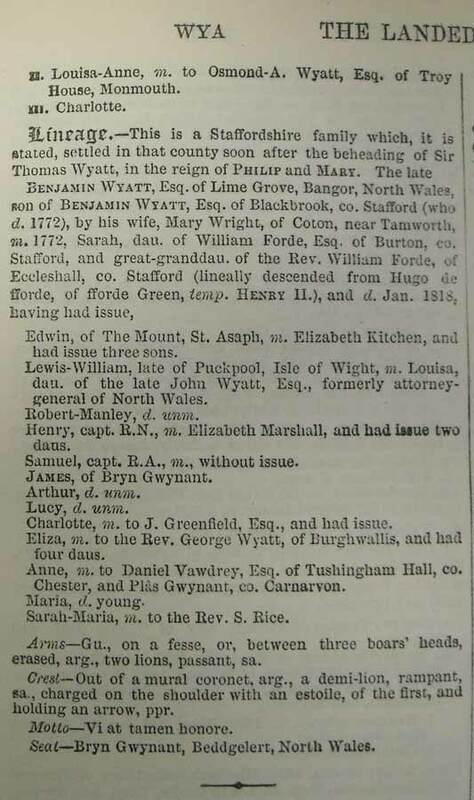 Burkes Landed Gentry (BLG)1875 Vol II details the lineage of James Wyatt Esq of Bryn Gwynant, co. Carnarvon. and on each side there are carved inscriptions to members of the Wyatt family. This helps corroborate the IGI and BLG entries for Sarah Ford. 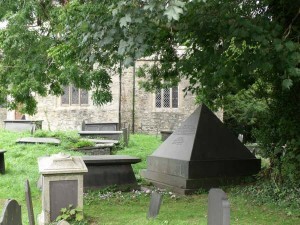 ‘Within this tomb are deposited the mortal remains of Sarah, wife of Benjamin Wyatt Esq. 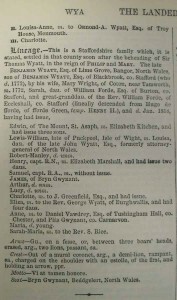 of Lime Grove of this parish formally of Weeford in co Stafford…She was the daughter of William and Elizabeth Ford of Burton upon Trent and died …April 28th 1815 Aged 65 years’. 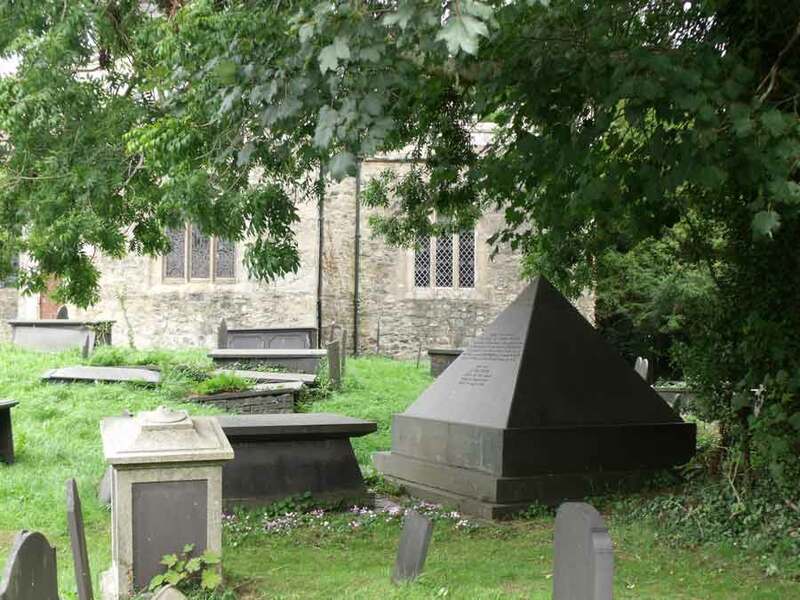 On another side of the pyramid is an inscription to Arthur Wyatt the youngest of the 13 brothers and sisters of Benjamin and Sarah. In BLG I noted that Samuel’s sisters Anne and Eliza are married to Danial Vawdrey of Tushingham Hall and Rev George Wyatt of Burghwallis respectively. So another two lines to follow up emerges.